The preservation of regional linguistic and cultural heritage is, as much as the conservation of biological diversity, a duty to future generations. The Occitan, Gaelic and Gaeilge languages are an expression of Europe’s cultural wealth. Existing in three distinct geographical areas and having three distinct linguistic origins, these languages nevertheless share many commonalities in various fields such as literature, music and dance. This exchange programme is a realisation of the will to promote and share linguistic and cultural heritage. The programme has encouraged and strengthened a sense of belonging to a particular culture linked to a specific region as well as promoting cultural exchange between regions. It has also raised awareness of the diversity of cultural identity which exists throughout Europe. Ireland : Gaelscoil Mhichil Ciosog. This digital application, aimed specifically at teachers and pupils, consists of thematic worksheets which present the cultural elements of the respective regions. The topics covered are suitable for inter-disciplinary use. 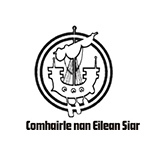 Comhairle nan Eilean Siar is the Local Authority for the Western Isles of Scotland and is one of three distinct Islands authorities in Scotland. It is one of the main employers in the Western Isles with some 2,000 employees and serves 27,000 people living in the Western Isles. The Comhairle has a responsibility for the delivery of services such as education and children’s services, social services, planning and building control, environmental services, roads and infrastructure, business support and economic development. The Comhairle promotes the use of Gaelic in the Western Isles and currently offers Gaelic pre-school education in 20 nurseries and pre-school units across the Western Isles and Gaelic medium education provision in 20 primary schools in the Western Isles. In addition, a range of subjects is delivered through the medium of Gaelic at secondary level. Sgoil an Taobh Siar (West Side School) is a relatively new state of the art primary school in the district of Barvas on the Isle of Lewis which was completed in March 2012, one of six new schools which formed part of the Western Isles Schools Project. The school has a roll of 31 pupils in Gaelic Medium Education and 28 in English Medium and 5.5 Full Time Equivalent (FTE) teaching staff. The pupils are aged 5 to 12 years. CnaG is a registered charity and a company limited by guarantee, established in 1984. CnaG’s current focus is very much on working with young people at a community and social level through local GaeIic Initiatives – working closely with schools to extend the range of extra-curricular activities. It has a network of Gaelic Development Officers across Scotland. Notable successes in the last few years have been the provision of more summer ‘Sradagan’ (Gaelic Youth Clubs) Camps; the roll-out of the Duais Iain Muir (John Muir Award) in Gaelic; and the establishment of Gaelic language ski-ing camps. 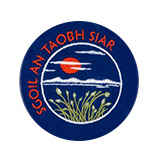 Gaelscoil Mhíchíl Cíosóg is a co-educational All Irish early total immersion primary school which was established in 1983 under the patronage of the Catholic Bishop of Killaloe to provide education through Irish for children in Ennis and surrounding parishes. The gaelscoil began in Cois na hAbhna and has been located in a new school in Glenina on the Gort Road for 13 years. 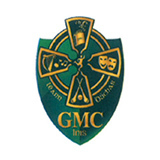 GMC continues to grow was approved funding for 2 extra permanent classrooms which opened in January 2010. Pupils develop bilingual and dual literacy skills to a high standard while the gaelscoil also places a huge emphasis on developing self confidence through music, art, drama and sports particularly hurling and gaelic football. 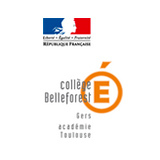 The school François de Belleforest of Samatan (lower secondary school) is a small and local Public Educational Establishment (around 375 pupils), essentially hosting pupils from rural areas. It is, moreover, actively involved in the teaching of foreign languages, as, since 2011, many pupils have been studying at least two modern languages from their first year in the school. The learning of Occitan language is a complementary teaching subject offered to all school pupils. In 2016, 245 pupils chose to benefit from this initiation. The school supports the actions of the Occitan class and its related projects, for the purposes of active pedagogy. 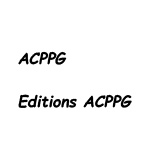 The Association ACPPG (Association pour la Culture Populaire en Pays Gascon - Association for Popular Culture in Gascony) was created in 1979 on the initiative of a group of Occitan musicians, willing to share with a larger public their young experience of traditional music, through regular learning workshops. The aim of this structure is to study local heritage in its broadest sense: manifestation of popular culture and traditional life, creation in general (singing, music, dancing, tales, Occitan language…). It also has for mission to carry out research and collection work about this popular heritage. The Gers Department is a local authority, led by an assembly elected through universal direct suffrage. 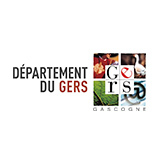 It is the decision-making body for the department (territorial area) of Gers, it is involved in many sectors directly linked to the daily life of the Gers population. The Department initiated in 2005 a linguistic and cultural policy in favour of Occitan ; it develops within that framework numerous actions in the fields of language transmission, teaching, and socialization, but also for the preservation and promotion of the regional culture.